You may think that the only fractions are those funny things you see on blackboards and chalk boards, and have little to do with life outside school. Here we look at VULGAR FRACTIONS. A vulgar fraction is a common fraction which is written as one integer (whole) number over another integer with a line between the two, for example 3/4. 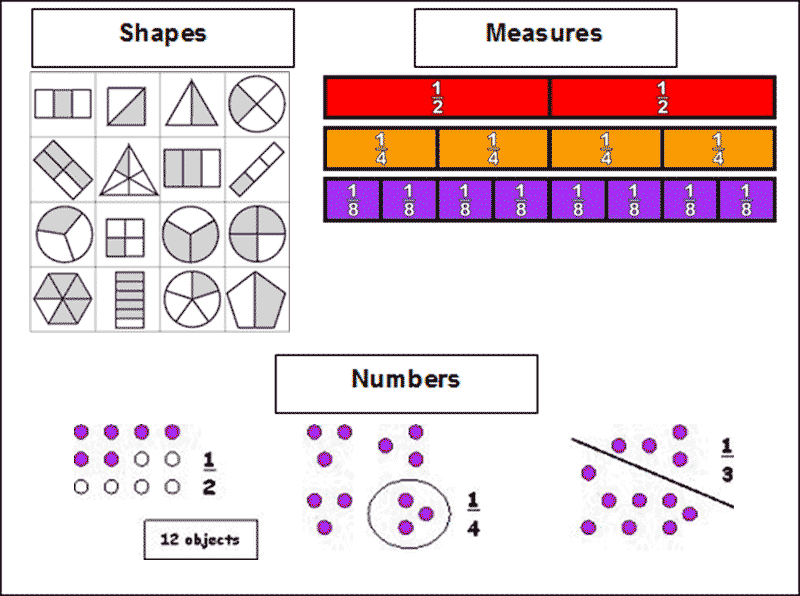 Where do we find fractions? In this example we make them all twelfths (/12). 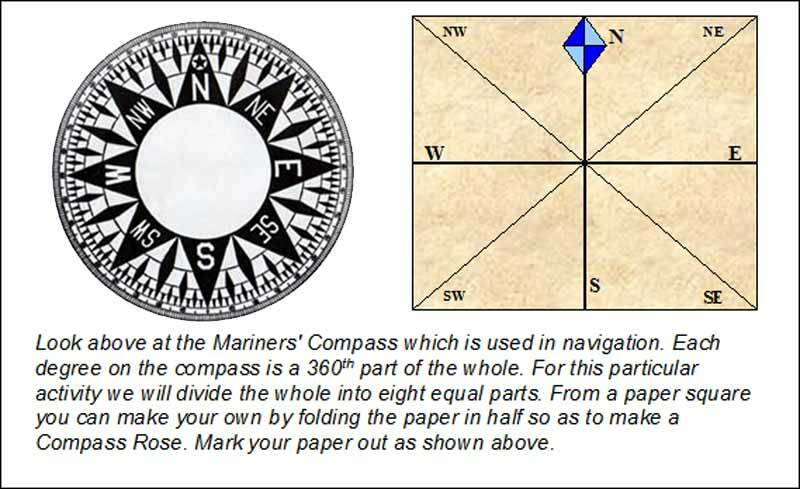 Questions: How much turn is there between east and southwest in a clockwise direction? Play a game with friends on the ground between two trees or other objects. If A is the whole, what fraction of A is C? If A is the whole, what fraction of A is B? If B is the whole, what fraction of B is C?